You just bought a fantastic lace closure wig but have no idea how to install it? Or you have watched countless tutorials, and tried so many times but could not get your wig to stay in place? Worse yet. It looks fake on your head, and you can’t seem to conceal it? Read more: Do you know how long lace closure wigs last? Then wait no more, because this article is for you! We will provide you with detailed step-by-step guidance on lace closure sew in. Let’s get started. What is lace closure sew in? 1 What is lace closure sew in? 3 How to do lace closure sew in like a pro? Generally, there are two typical ways to attach lace closure to your head today. Probably the most popular and conventional method to attach a lace closure is to glue it in. Simple as it may sound, all you need to do with this method is using adhesives to stick the closure into the “horseshoe” part of your forehead. Or if you have lace frontal, stick it from ear to ear. This is a quick and easy way to handle lace closure. However, there are some “breaking” points to it. For example, if you use too little adhesives, the wig may not stay in place and fall out. On the contrary, if you apply too much, the hairline may look thick and unnatural. The sticking position is crucial also. You want to make it look like hair growing out from your scalp. So how about taking a quick look at the sew-in method? It takes some time to practice but is the most natural and stable method out there. 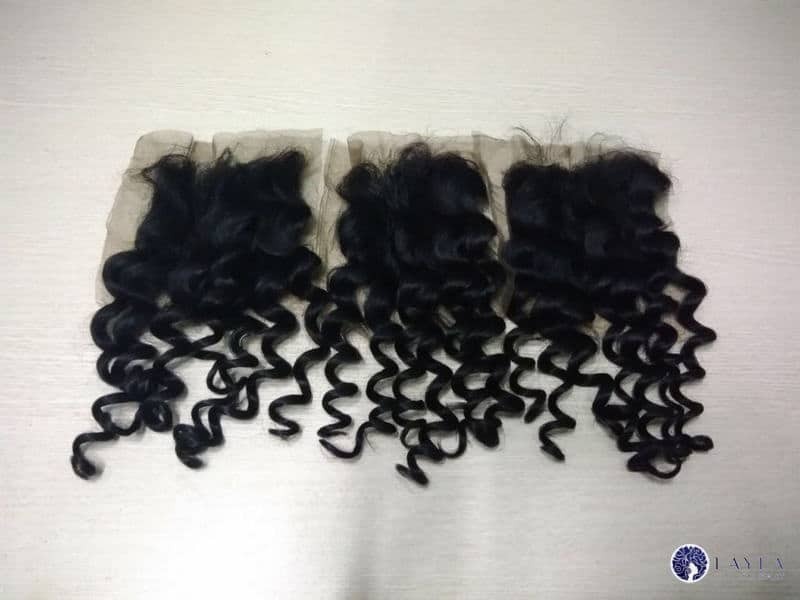 What you do is to sew the lace closure into your hair. It may sound scary, but trust me, no damage is done to your scalp at all. This is the safest protective style out there. The idea of the sew-in method is to stick the wig over your actual hair to replace your real hair with it. The closure’s hairline technically lies right over your actual hairline. 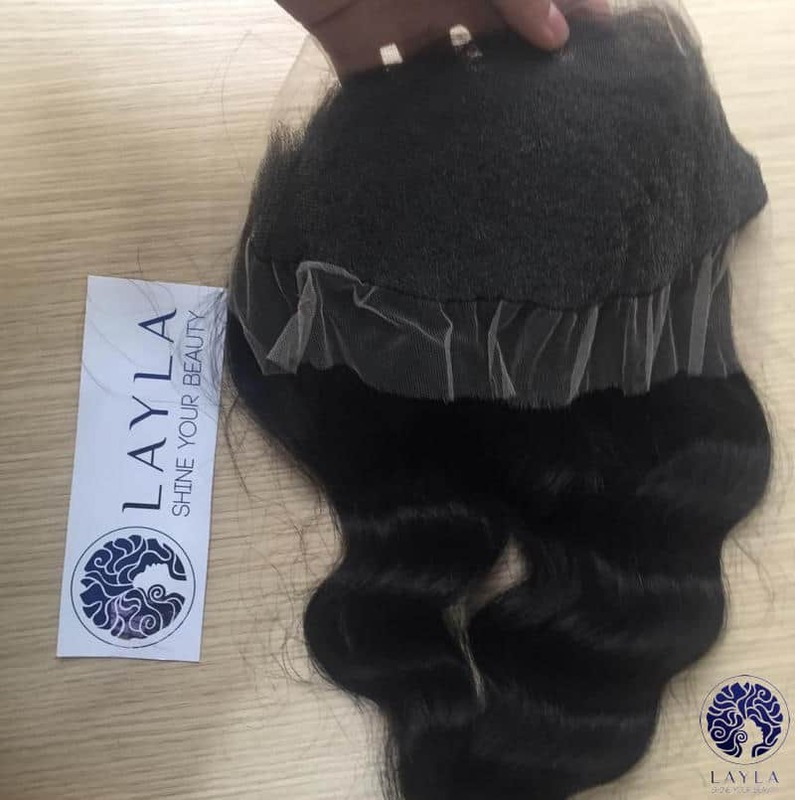 Combining with raw or virgin hair, there’s no way people around can detect your little secret, even if they run their hands through it. Currently, the sew-in method is the most secure way to wear lace closure for a long period. The thread goes through your hair strand and the lace at the same time, tying them all up together until the all the rims of the lace closure are well-stuck to your head. With this method, all you need is a needle, a thread, and a few elastic bands. Yes, that’s it! You don’t need any extra gadgets, not even a hair cap or expensive lace closure glue. Just spend a little time and patience on it, and you are good to go. Wearing adhesives on your hairline sounds like a good option if you don’t do that too frequently. However, if you are planning to wear your lace closure on a daily basis, maybe you should think twice. The chemical from lace closure glue can damage your hairline if you don’t apply and remove it properly after use. The hair density is varied depending on your own preference. Lace closure sew-in, on the other hand, is perfect for this case. It protects your hair from pollution and other environmental factors without using any harsh chemicals. 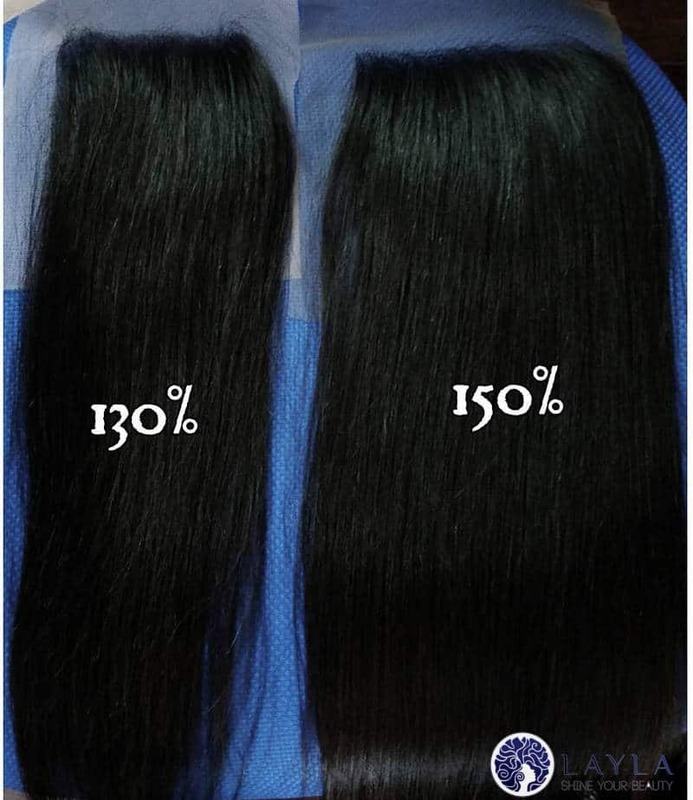 It gives your hair room to breathe and growth underneath the lace closure. This method requires a few practices for you to get it done correctly. The best scenario is having somebody else do it for you. But it’s wonderful to do it on your own. Just be a little extra careful with the needle, or else it can hurt you. It sounds like a lot of work, but trust me, when you master it, it will be worth it. How to do lace closure sew in like a pro? 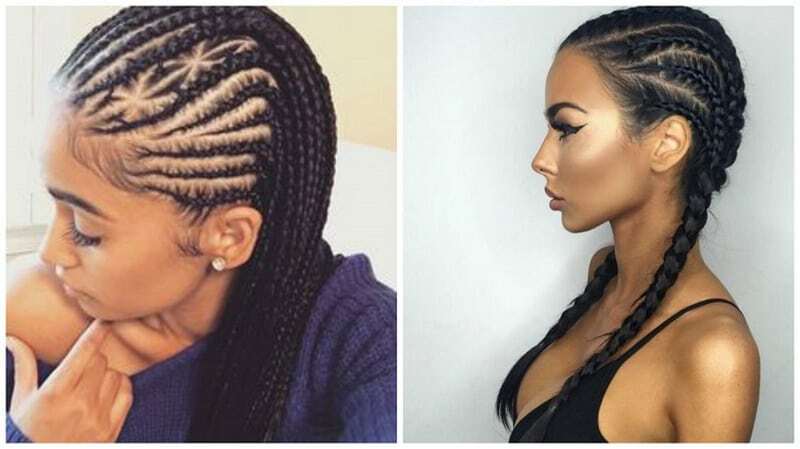 You can braid your hair into any kind of cornrow you want. Just be sure that the surface is flat so that it looks more natural. And your braids need to be small, tight and run all along your hairline. Crisscross each braid in the back and sew it down by putting it between two braids. For the two side braids, stitch it to the back. Continue to stitch around the braid that you are sewing down, but also make sure the needle goes underneath the scalp braid. When you finish half way, fold the loose braid in so stitching is easier. Put the net over your head. Stitch the net down in the top part of your head, to the side, and the back. Stitch tightly, so there is no bubble in the net. If you like this article, please SHARE with your friends! 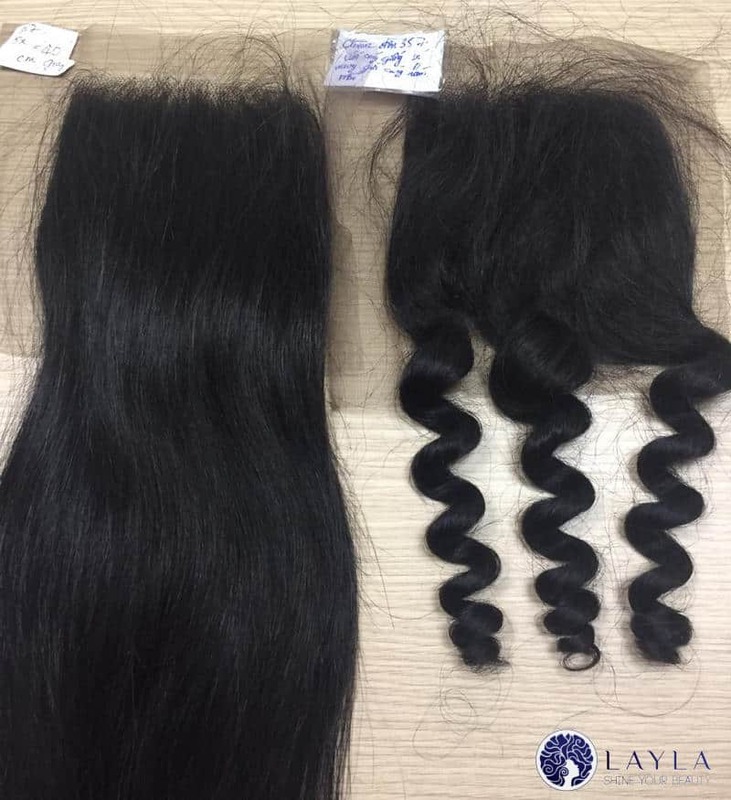 Follow Layla Blog for wonderful hair tips!